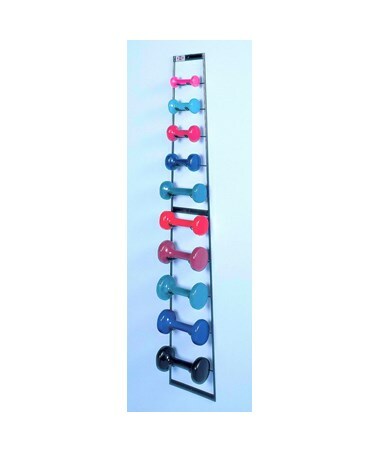 The Hausmann Economy Wall Dumbbell Rack offers an easy and economical way to organize exercise dumbbells. Best for any room or healthcare facility that requires storage for physical therapy equipment and accessories. It also helps keep your area neat and clutter-free. 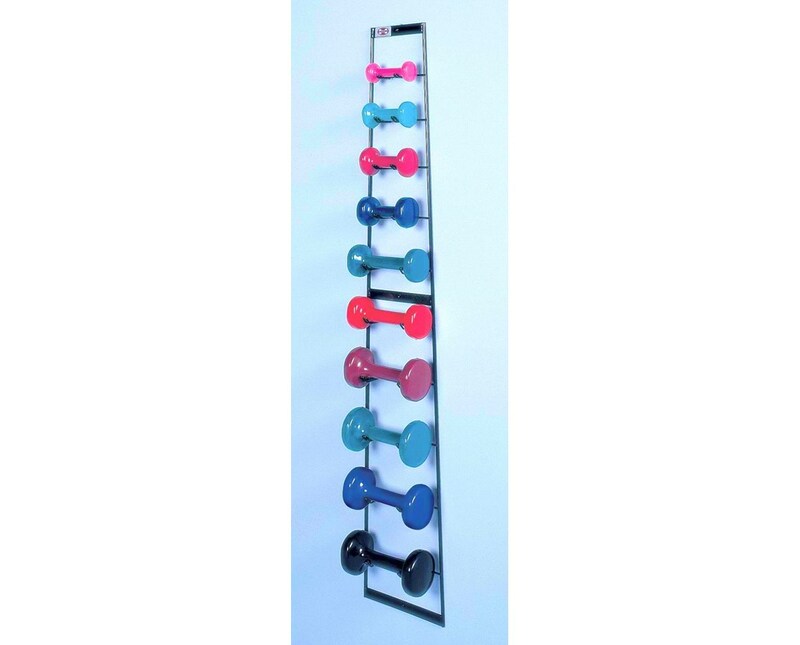 This Dumbbell Rack is made of black powder coated metal. It attaches easily to any wall for convenience. It also features ten (10) hooks, graduated in size, that can hold 1-10 lbs vinyl coated dumbbells. Measures 53 1/2"H x 10"W x 3 1/2" D.